Dirty Rotten Scoundrels took Broadway by storm in 2005, swooping a prestigious Tony award. The show then went on both a US and world tour, with cities such as Tokyo, Madrid, Oslo, Seoul, Copenhagen and Sydney enjoying the show. Finally Dirty Rotten Scoundrels arrives in London in March 2014. The show is based on the 1988 film of the same name, which is widely hailed as one of the best comedy motion pictures of all time. Rather like its movie predecessor, Dirty Rotten Scoundrels the musical tells the tale of two con-artists, one British and one American, who compete with one another to swindle rich people in the French Riviera. Englishman and cultivated crook, Lawrence, takes on novice fraudster, Freddy, in a battle to secure $50,000 from an American heiress, Christine. All is not as it seems with the wealthy American beauty, that has both men falling over their feet to attempt to bed her. Can the con men keep up their guise, or will the thrill of chasing tail reveal their true nature? 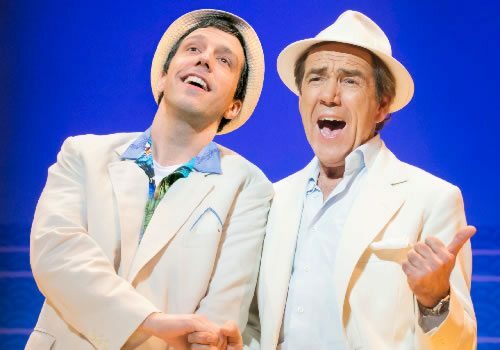 Dirty Rotten Scoundrels is directed by Broadway and West End veteran Jerry Mitchell, with Robert Lindsay (My Family, The Lion in Winter) playing Lawrence, Alex Gaumond (Matilda, We Will Rock You, Legally Blonde) portraying Freddy and Katherine Kingsley (Singin’ In The Rain, A Midsummer Night’s Dream) as Christine. 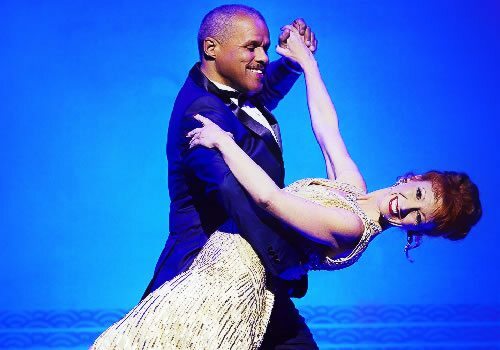 Bonnie Langford stars as Muriel Eubanks and Gary Wilmot as Lawrence's sidekick, Andre. Dirty Rotten Scoundrels is not suitable for very small children, but children aged 8+ may attend the show if accompanied by an adult.